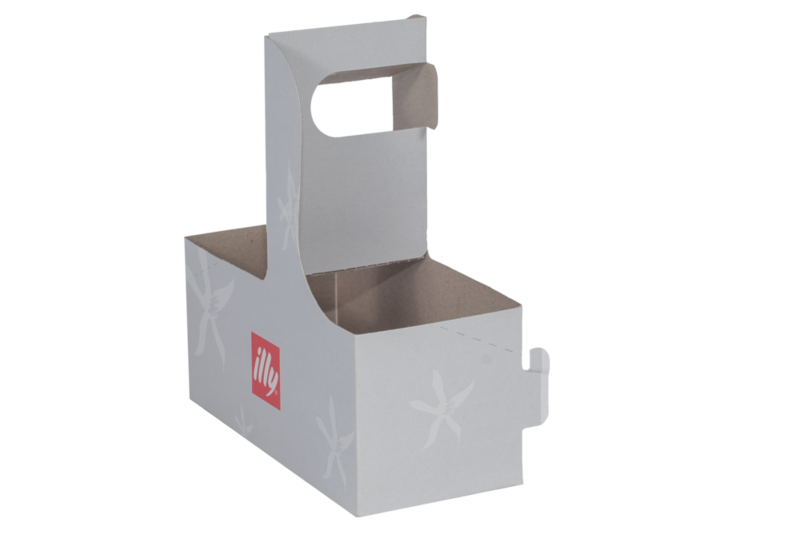 Cup Carriers are the most widely used take-out packaging for the foodservice and grocery industry. They are fully printable which provides a great area for your brand. Whether you want to hold 2 or 4 cups, a cup carrier would be a great choice. The all in one design with interlocking tabs means you can use as a single (1-2 cups) or double (3-4) cup carrier. Best suited for both paper and plastic cups.